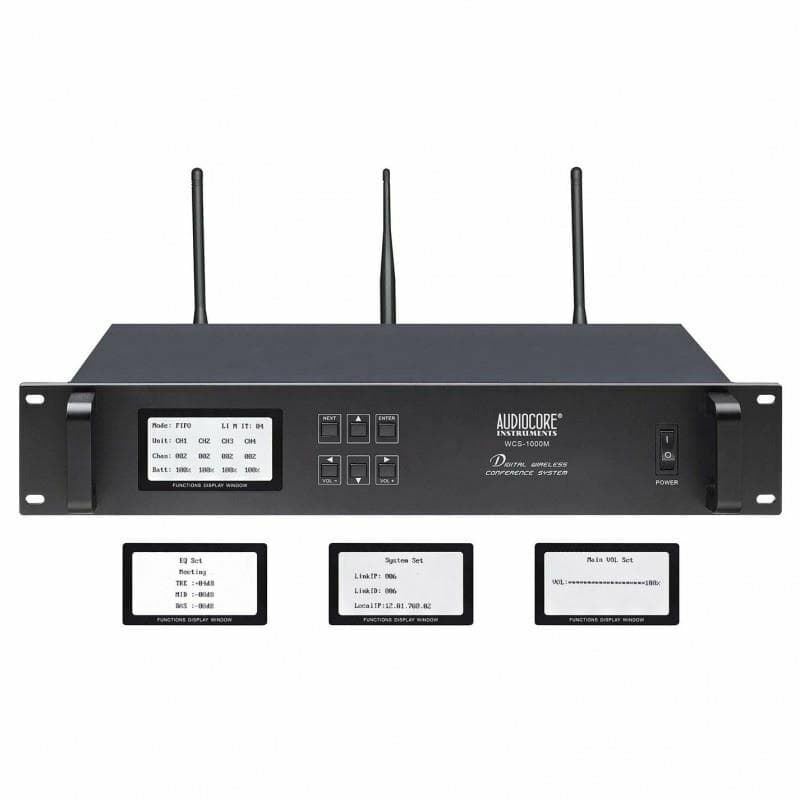 Suited for the Audiocore WCS-1000 wireless conference mic series, this Master Control Unit uses latest and sophisticated wireless digital technology to process the audio signal and control signal with scientific ID code design without complicated cables required. It is able to produce a voice clarity like no other. It also able to broadcast signal to unlimited number of connected wireless conference mic with working distance of up to 100m making it ideal for large board meeting rooms, large hall and corporate offices, hotels, and schools.